Classic, simple, and does the trick. No wonder Nicole Richie is a huge fan of Kiehl's Lip Balm in numero uno. 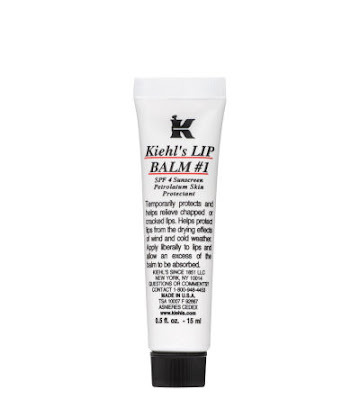 Kiehl's Lip Balm in #1 is great for dry lips that easily get chapped during the harsh winter months or desert summers. •Temporarily protects and helps relieve chapped or cracked lips. •Helps protect lips from the drying effects of wind and cold weather. •Formulated with soothing emollients Squalane, Lanolin and Sweet Almond Oil as well as Vitamins A and E.
It's one of those products that's defiantly worth it!